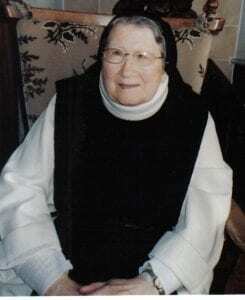 Sr. Kate was born in Butlerstown, Co. Waterford, on 29th May, 1926, the second eldest of four sisters. She won a scholarship to Falcarragh in Donegal and from there went to Mary Immaculate Teacher Training College. She taught in Inistiogue, and then in De La Salle, Stephen Street, Waterford, after which she taught in Butlerstown. She worked in Lady Lane in the Sisters of Charity School in Waterford, where she taught pupils with special needs. Before entering Glencairn in November 1980, she took care of her elderly parents. Her First Profession took place on 11th June, 1983 and her Solemn Profession, exactly three years later. In her early years here, she helped in the Wardrobe, making curtains, clothes etc. Later she was appointed Novice Mistress and then Junior Mistress. She was very involved in establishing our income-generating Eucharistic Bread Department, doing the Accounts for years. Her experience, wisdom, courtesy and kindness were greatly appreciated by this community, and she had many friends who kept in touch and visited her. As she advanced in years, her health problems increased, and despite the care given, her mobility worsened to the extent that she could not walk or stand. 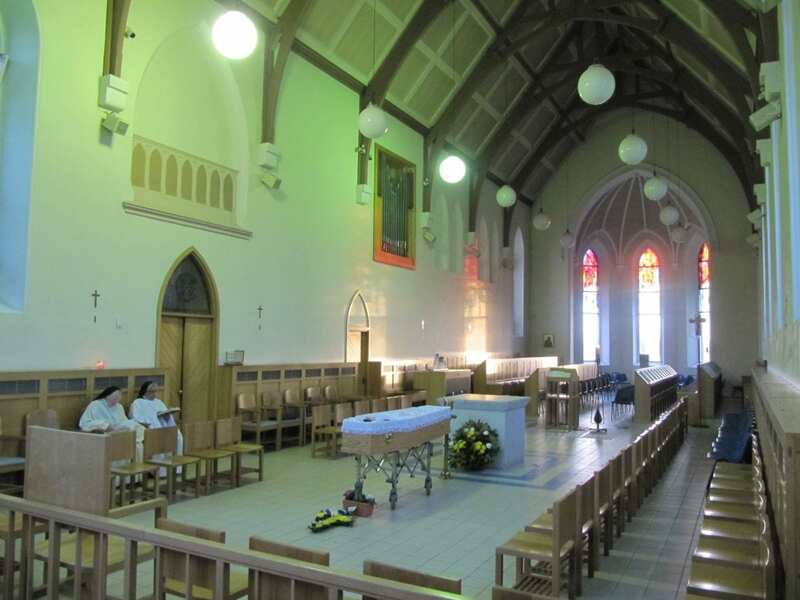 Eventually, needing full time care, she was moved to St. Vincents, Dungarvan Hospital, where she frequently told her many visitors, including members of her community, and her sister Sr. James, that she was very comfortable and happy. She enjoyed having visitors, continued to read, and entertained her friends with memories of Waterford and her vast knowledge of the county and history. In December 2018 her condition deteriorated, and by the end of January 2019, it became obvious that her life was nearing its end. Sisters visited her every day and sat with her throughout 31st January, when, at 10.25 p.m. with three Sisters present, her lovely soul went very peacefully to the Lord. Sister Kate’s funeral burial took place on Sunday 3rd February.